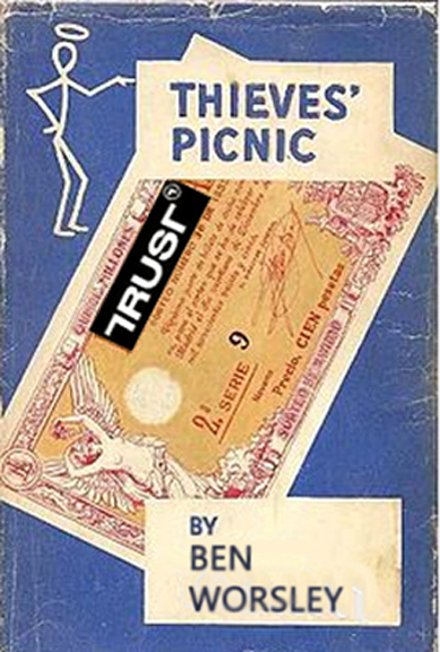 In the first tale of the thieves’ picnic, published by Leslie Charteris in 1937,a gang of robbers, kidnappers, and smugglers starts to fall apart over a $2 million lottery ticket one of the thieves stole from the gang’s pot. The detective who recovers the ticket, and rescues a diamond-cutter who’d been abducted for the gang’s diamond-smuggling operation, rolls up the crimes by pretending to be a gangster himself, and encouraging the others to betray each other. By the standards of Ilya Yurov and Benedict Worsley, the original thieves’ picnic was a fight over peanuts. 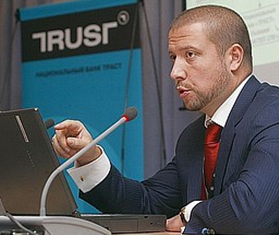 Yurov, the control shareholder of Trust Bank, managed the disappearance of $3.3 billion in Trust Bank funds until December 2014, when the Central Bank stopped his operations, and financed Otkritie Bank to take over in his place. Within weeks, Russian government investigators found the gap between Trust’s assets and liabilities had jumped from Rb67.8 billion to Rb114 billion; in pre-devaluation terms, that’s from $2 billion to $3.3 billion — bigger larcenies than the previous records set by Sergei Pugachev at Mezhprombank and Andrei Borodin at Bank of Moscow. Worsley had helped Yurov by operating hundreds of offshore companies and bank accounts through which the money was moved, mostly as sham loans. Yurov is now living in Kent as a guest of the British government. Worsley, who divides his time between Cyprus and Dubai, is now employed by Otkritie Bank, Trust’s new owner. Worsley is being paid $32,500 per month as an informer, with a promise of a bounty of up to 4% of the recovery value of the assets Yurov and he allegedly stole and laundered, plus an indemnity from prosecution. The Worsley arrangement was kept secret by Otkritie Bank until revealed recently in the High Court in London. The informer reward deal is unprecedented in the history of Russian bank fraud, according to London bankers and lawyers. “In a multi-billion fraud of this size,” said one international bank source, “a deal like this can be justified if the recovery is large enough – that is, if Otkritie Bank and the Russian Deposit Insurance Agency couldn’t follow the money trail without the informer, and if they manage to recover significantly more than they pay out to the informer. But why has Otkritie tried to keep the deal secret? The court papers show that $3.3 billion is missing from Trust Bank; Yurov’s bank accounts and assets add up to $830 million. How much is Worsley holding back? 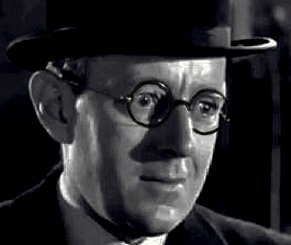 Does he stand to get richer with the Otkritie deal than he got with Yurov?”Ben Worsley, according to London sources, is about 50 years of age, with a round head, bald pate, dark-rimmed glasses, an uncanny resemblance to the actor Alex Guinness (right) — and a severe allergy to being photographed. In 2014 a videotape of him surfaced on the internet, filmed secretly by a disgruntled employee at a palatial estate near Montpellier, in the south of France. Worsley claimed the house belonged to “a Russian banker”, but he lived in it as if it were his own. All traces of the videotape, and of photographs of Worsley, have disappeared. Once employed in Moscow by Mikhail Fridman’s Alfa banking group, Worsley became acquainted with one of Alfa’s inter-bank clients, Trust Bank. This had been taken over by Yurov and his associates from Mikhail Khodorkovsky, after the latter took what Yurov has subsequently claimed to have been $300 million out of the bank’s capital. High Court papers presented by Otkritie Bank, as well as a recent interview Yurov has given to a Moscow newspaper, document the role Yurov hired Worsley to play for him and for Trust Bank in Cyprus. Ruling this past July 28 to uphold a freeze order over $830 million in Yurov’s Swiss and other bank accounts and his UK home, Justice Sir Stephen Males (right) said Worsley “had first-hand, contemporaneous interaction with [the Trust shareholders] and was involved in setting up their network of secret companies. The claims are based in large part on documentary evidence of the terms and (non-) performance of the loans, and the connections between the borrowers and [the shareholders] exposed by Mr Worsley (and supported at least in part by the documents he has provided, including the various trustees and shareholding documents.” The evidence, according to Males, was that in May 2015 Worsley had still been working with Yurov, when the two of them were negotiating with Otkritie for the return of the bank’s money. The judge said he is not sure whether a commission of between 1.5% and 4% of the “net value of certain assets recovered” was part of the Worsley deal. 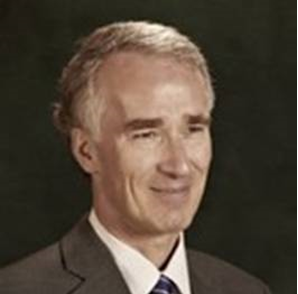 Otkritie has sought no freeze over Worsley’s bank accounts or property; there are no criminal charges against Worsley in the Russian, Swiss, British or Cypriot courts. How much Worsley may have concealed from Yurov in order to benefit himself the judge didn’t venture to guess. Yurov (right) has responded that Worsley is a turmcoat who is being paid to testify falsely against him. Yurov has defended himself in court and in the Moscow press by suggesting Otkritie had kept its deal with Worsley secret to protect Worsley’s share of the assets, along with other beneficiaries. Yurov says he had instructed Worsley to trace the funds owed to the bank; and that Worsley is now lying to save himself. How much money was lost through companies Yurov didn’t know, and through transactions Worsley decided in his stead, is yet to be tested in court. That’s when the thieves’ picnic will be clearer to all. The reference to Ledra is to an offshore entity operating group in Cyprus called Ledra Management. This is owned and run by Christodoulos Vassiliades, a Cypriot lawyer, whose law firm has its headquarters at Ledra House in Nicosia. In the proceedings so far, Vassiliades is not identified nor accused of any wrongdoing. He has declined the invitation to clarify the role his law firm or Ledra Management played in Trust Bank’s operations under Yurov. Teos Management is one of the companies Worsley created in Cyprus. Cyprus company records show he has been managing director of the firm since it was set up in August of 2013. Last November Worsley was contacted at the Teos office in Nicosia and asked to clarify his relationship with Yurov and Trust Bank. Worsley was travelling, according to his secretary. He did not respond to telephone calls and emails. On October 3,.2016, the Cyprus Securities and Exchange Commission (CySec) issued a notice revealing that in September it had reviewed a case against Teos for failing to “appoint… a compliance officer with the prior approval of the CySEC from September 2015 to 22.03.2016”. This was a serious offence, the regulator claimed. But there were mitigating factors – there had been no prior offence by Teos; and the company had already notifed CySec it was going out of business. A fine of €5.000 was imposed. The telephone number at Teos is now disconnected. 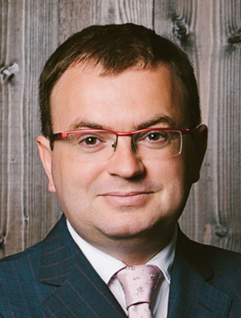 Emails have been directed to Worsley at Teos, asking him for his comment on the terms of the Otkritie agreement and Yurov’s counter-allegations. , The emails are returned with a notice that they have been blocked by the Teos server. Asked this week to clarify why the bank tried to keep the Worsley deal secret from the London court, Otkritie has not replied by press time.